Music Week can well be considered to be some sort of a trade paper, in the recording industry of the United Kingdom, Britain. 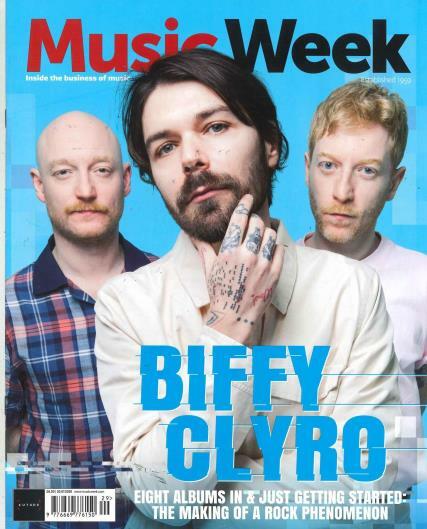 Buy a single copy or subscription to Music Week magazine. It was founded way back in the year 1959, when it had been known across people with the name of RECORD RETAILER. The magazine got itself re-launched on the 18th of March, in the year 1972, when it was renamed to be the Music Week. Almost a decade later on the 17th of January in 1981, the magazine changed its title again. Much later in the year of 2003, the magazine Music Week eventually went a bit further into offering features, daily news, listings of record releases and the UK airplay, sales, as well as the club charts. This turned out to be a major step for the magazine as a leap into the future. During the early days of 2006, this magazine had started to give free access to the users to its Music Week directory that constituted more than ten thousand contacts, from across the industry of music.